ELIXIR-NL is active in three ELIXIR platforms: Compute, Interoperability, and Training. The Training platform helps scientists and developers find the training they need, and also provides that training. The Dutch Training activities are incorporated in the DTL Learning programme. The ELIXIR-NL training activities are offered in close alignment with the Dutch communities in bioinformatics, computational biology, medical informatics, and e-science. 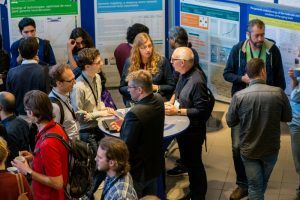 ELIXIR-NL thus builds upon extensive experience and capacity in bioinformatics training developed within the Dutch bioinformatics community (NBIC) over recent years, now continued in the Netherlands Bioinformatics and Systems Biology Research School (BioSB.nl). The next step is to leverage broad education & training capabilities of the broader DTL partnership in a comprehensive portfolio. ELIXIR-NL will contribute to the development of new courses focusing on ELIXIR tools & services in general, especially related to the scientific focal areas of the Dutch ELIXIR node: training related to (1) standards & tools for data interoperability and exchange (including data capture, integration and exchange, interoperability, data stewardship); and (2) compute and storage services (both for life science users and for data experts). Furthermore, we have the ambition to set up a course series leading to the predicate ‘life science data expert’. ELIXIR-NL will help consolidate existing and future training efforts by ELIXIR. We will share our training content (course material & complete trainings), trainers, as well as our expertise and best-practices in developing, coordinating and organizing a training programme. In the framework of this ELIXIR-NL Training and Education workstream, DTL-associated groups collaborate closely with virtually all other ELIXIR nodes, building from existing relationships with EBI, SIB and the UK. International training efforts in ELIXIR will also be closely aligned with GOBLET, the Global Organisation for Bioinformatics Learning, Education and Traning. The list below contains some examples of past activities of ELIXIR-NL within the Training platform. Please consult the news archive for a more complete overview and subscribe to the DTL newsletter to stay informed. You may also want to download the April 2017 overview of the training activities within ELIXIR and ELIXIR-NL. ELIXIR-NL co-organised the workshop Applying bioinformatics and data science competency frameworks to ELIXIR Training. ELIXIR-NL was involved in the Pilot action, which aimed to train researchers in IT skills and introduce SWC/DC workshops across the ELIXIR nodes. Read more. On 16-19 January 2017, the first European Galaxy Developer Workshop took place in Strasbourg. Galaxy is an open, web-based platform for data-intensive biomedical research. ELIXIR-NL and the Dutch Galaxy Working Group were actively involved in the workshop’s organisation. DTL/ELIXIR-NL and its partner the Netherlands eScience Center (NLeSC) are aligning the existing Dutch Software Carpentry (SWC) and Data Carpentry (DC) initiatives. Read more. ELIXIR-NL hosted a Data Carpentry Hackaton and a Data Carpentry Workshop on 22-25 June 2015. Data Carpentry is designed to teach basic concepts, skills and tools for working more effectively with data. Partners involved were ELIXIR-NL, NLeSC, TU/E, UU, WUR, and UMCG. You can find a report of the Data Carpentry Hackathon and Workshop here. In 2015, a two-day ELIXIR Training the Trainers workshop was held in Cambridge, England on the subject of ‘best practices in training on NGS Analysis’. This workshop was a great opportunity to discuss what topics to cover in various bioinformatics courses and how to best get these topics across to students. Martijn Herber (Hanze Hogeschool) joined on behalf of the Dutch node of ELIXIR. His report of the meeting can be found here. ELIXIR survey ‘training needs in industry’: An ELIXIR-wide survey about training needs in industry was performed in 2015. ELIXIR-NL is the Dutch node in the European ELIXIR network and it is hosted by DTL. 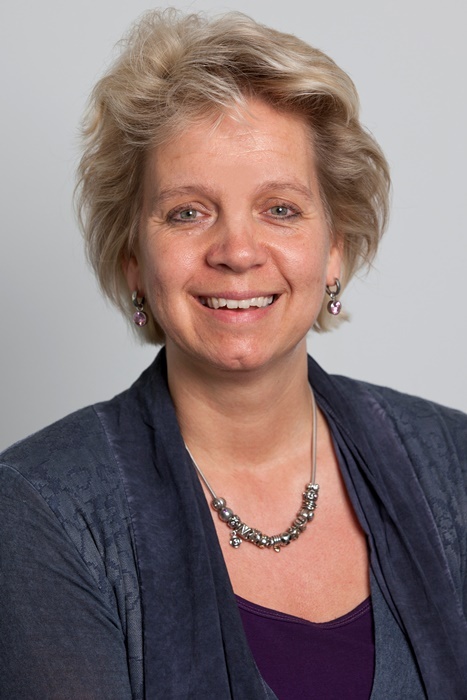 Please contact Celia van Gelder if you have a question about the ELIXIR Training activities.